Do Sustainable Certifications For Coffee Really Help Coffee Growers? : The Salt A global development research organization's study suggests that there's little data showing whether growers benefit from sustainably certifying their coffee because they are difficult to monitor. A new report suggests that when consumers buy sustainably-certified coffee, they have little way of knowing whether or how their purchase helps growers. Most of the time, we don't know how our coffee is made. We don't know if children's hands handled the berries when they might have been handling pencils, if workers had respirators to protect against harsh agrochemicals or if global coffee prices shafted the farmer this year. Sustainable certifications, like the Rainforest Alliance's green frog tag or Fairtrade's yellow and blue sticker, are a way people try to verify their coffee is up to a certain standard. For example, there weren't many defined baselines for how farmers were doing before they got certified, and people weren't comparing certified farmers to similar but uncertified farmers, Elliott says. Certification organizations haven't been able to directly monitor many of the growers that they certify either, Elliott says. "There's very little actual monitoring or measuring of the outcomes that you want to see going on," she says. "For example, studies suggest [after certification programs] there's more safety equipment for workers. Do they actually use it? Are they healthier? Not clear." Part of the problem is that many coffee growers live in remote, mountainous regions that are extremely difficult to access, so direct observation of things like worker and environmental health, standard of living or income changes becomes prohibitively expensive on a large scale. Global certification programs sprawl across multiple continents and work in dozens of countries, meaning evaluations must also contend with vastly different cultural, climatic or regulatory contexts that can cloud study results, too. "Really, any kind of commodity – not just coffee – in sustainability certifications is a black box of effects and outcomes," says Catherine McCosker, a researcher at the sustainability advisory firm 3Keel who did not work on the paper. "There isn't a lot of high-quality research." The Center for Global Development analysis also calls into question what consumers think they're supporting or paying for when purchasing sustainable-certified coffee, McCosker says. "I asked myself this question when looking into this," she says. 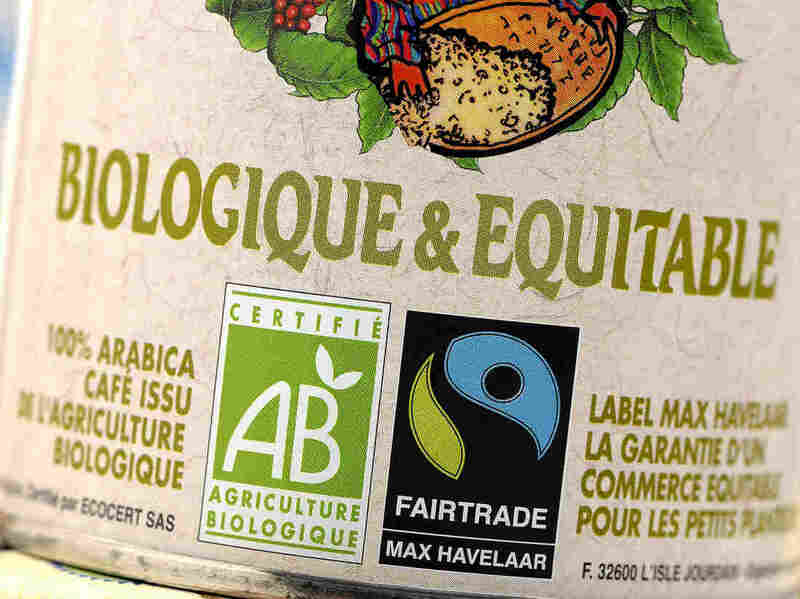 Some certifications, like Fairtrade's, charge a premium for certified coffee – presumably making certified coffee more expensive than similar, uncertified coffee of equal quality. If there's no good evidence that the certifications make a difference, McCosker muses, are they worth the extra charge? While it's hard to know for certain if certifications have had a direct, positive impact on farmers, consumers do get one guarantee from the certification, says Kyle Freund, the media manager for Fairtrade America. "When you receive Fairtrade coffee, a Fairtrade minimum price has been paid, and it means [the grower] earned a premium over the cost. When you see the mark, you know for sure that has happened," he says. In essence, it means you are paying to ensure farmers earn a minimum salary that should cover the costs of running their plantation. In August, the projected futures price for coffee dropped below $1.00 per pound, a level that Freund says won't fetch growers enough cash to make a profit. If farmers can sell enough certified coffee at a premium, that might help growers sustain themselves longer, Freund says. "In theory," he adds. If nothing else, Elliott says that when consumers buy certified coffee, they tell the industry that they want and value sustainable coffee. "They signal that they want these improvements to happen," she says. That can spur the industry to work harder to meet sustainable standards.